Clifton Feed and Service Center is the premier purveyor of farm supplies in the Bosque County area. 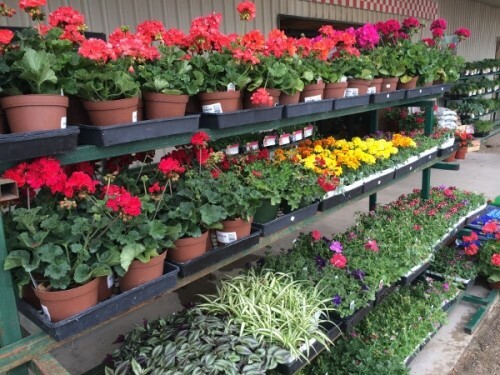 Conveniently located in Clifton, TX—just a short drive from Dallas and Waco—this family-owned and operated store has everything from lawn and garden supplies to livestock feed and pet food. No matter what you need, you're sure to find it at Clifton Feed and Service Center. Since 1968, Clifton Feed and Service Center has served as Bosque County's one-stop shop for farm supplies. Over the years, the company has grown from providing rural farms and ranch operations with hard-to-find tools and equipment to meeting the needs of the everyday shopper, including homeowners and businesses alike. Known for their high-quality products and outstanding customer service, any time is the right time to drop by Clifton Feed & Service Center and pick up exactly what you need. Browse the inventory at Clifton Feed and Service Center and expect to find pet food and supplies from the industry's leading manufacturers, like Purina, Exclusive, and Petmate Indigo. Ask a friendly staff member for their advice on livestock feed, and you can rest assured that their years of retail experience with farm supplies will help you make an informed decision. Need help locating the best lawn fertilizer on the market? Keep your grass green all year long with the help of the fully stocked lawn and garden supplies section at Clifton Feed & Service Center. To discover everything that Clifton Feed and Service Center has to offer in terms of farm supplies, lawn treatment, pocket knives, and more, visit their website. You can also call them directly at (254) 675-3416. Announcements & Events from Clifton Feed and Service Center, Inc.
Big Buck Contest Is Back! Say goodbye to fleas and ticks, the natural way! Ants, Scorpions, Fleas, Spiders, & Roaches? O My! Fleas Bugging You? Fogger only $9.99! Works for 7 Months! Take Back Your Lawn from Insects! Candles 20% OFF in February! Open Late for Christmas Shopping, Thursday 5-8 p.m.
Sign up for the Big Buck Contest! Over $4,000 in prizes! Mojo Voodoo Dove Decoy is the Dove Hunter's Friend! MaxxAir Drum Fan, Industrial, 2-Speed, 48-In. Sweet Deals for Mother's Day! Purple Martin House Placement is IMPORTANT! Want to add some Spring color? Beautiful geraniums have arrived! Dunn's Fish Truck is Coming! Dunn's Fish Truck is coming! Are you ready? Time to get out and plant the garden!